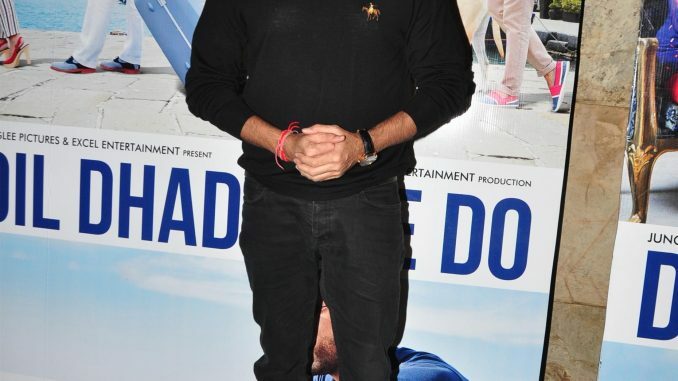 With the trailer of the most awaited film of the year, Dil Dhadakne Do out yesterday on YouTube, the entire team gathered for the first time to watch the trailer together. Anil Kapoor, Ranveer Singh, Priyanka Chopra, the Mehra family was there along with Director Zoya Akhtar and producer Ritesh Sidhwani. It was a small gathering where they saw the trailer and discussed the film. Everyone raved about Ranveer and Anil’s look. This was the first time Ranveer came out of his house since his surgery. He even saw the trailer for the very first time and requested to repeat playing the trailer for 4-5 times. Every time he would see it again he discovered something new. Everyone had reached out to the Zoya, Ritesh and Farhan, to show them the trailer of Dil Dhadakne Do. There has been a lot of excitement around the film and everybody had been looking forward to watching the trailer of the film. Within the few hours since the trailer has gone viral, it has been trending and getting a lot of appreciation. Summer’s coolest release has brought the vacation season back with a bang.